WhatsApp has now turned out to be an important part of our daily life. And hence, if there is any problem with the app that we do not have any idea about, it seems like we need an ICU care. This represents the magnitude of importance the app has in our daily life. And sometimes, while using the app, you accidently delete some important messages. This is the time when you search for how to recover deleted WhatsApp messages on Samsung. Well, you have landed on the right place. Let us have a look on how to conduct WhatsApp recovery on Samsung. One of the simplest ways to know how to retrieve deleted WhatsApp messages on Samsung is to use backups. As a matter of facts, the WhatsApp app automatically makes backup of your chats daily at 4 PM as per your time zone. This is the advantageous feature of the app. And since you have a backup of your chats, you can retrieve deleted WhatsApp messages Samsung. All you need to do is uninstall the app. Once you have uninstalled the app, you will need to install it again. 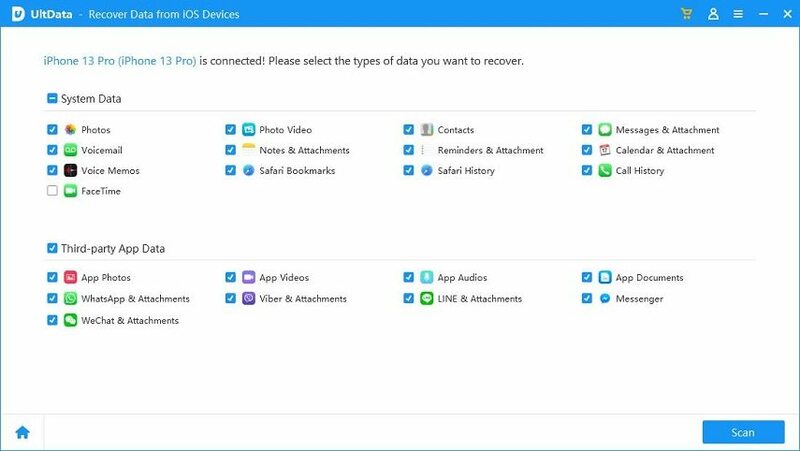 This time, the app will detect the backup that is present in your SD card of the internal memory of your Samsung handset. You just have to give your permission to retrieve the data from your storage. This will probably put back your deleted messages and help you understand how to retrieve deleted WhatsApp messages from Samsung. In addition to this, if you want to restore your data base from a less recent backup, you can always do that. All you have to do is go to the place where the backups are stored. Now, rename the backup file to "msgstore.db.crypt7." The original name of the backup file will be in this format: msgstore-YYYY-MM-DD.1.db.crypt7. If you need to perform Samsung WhatsApp recovery without backup, then there is only one way to do this. The ultimate solution to solve this issue is to use Tenorshare Android Data Recovery. This tool is most reliable and has the highest success rate in the market to retrieve the data as compared to other available software. In addition to this, the tool is an expert in retrieving list contacts, photos, messages, and any such significant data. Follow the steps below in order to solve your "WhatsApp messages recovery Samsung" issue. Step 1: In order to make full use of this software, you will first need to connect your Samsung handset to the computer using USB cable. Now launch the software on the PC. Make sure you turn on the option for USB Debugging. Step 2: Once your device is connected to the PC, tap on "Allow" when the app Superuser Request comes up on the screen to enable the software the super user access. Then tap on "Next" on the computer screen. Choose "WhatsApp messages & attachments" option on the next screen. Step 3: Now, choose the message that you wish to recover and save the files. You are done for the day and your problem has been solved. Cutting the chase, we just had a look on how to perform WhatsApp recovery for Samsung phones. You can use your backup to retrieve the messages. But this message comes with a set of disadvantages as mentioned above. On the other hand, using Tenorshare Android Data Recovery will be the most suitable option in this case. Leaving the rest to your fine judgment, we know that you will make the best choice from the above mentioned solutions. Last, but not the least, do let us know your thoughts on this article. Also let us know of any other solution that you think might solve the issue. You can do this by commenting below.